9810253962 (Whatsapp No. only) and 011-41415320.
do ask fee payable for such appointment. The Practice is a full service litigation firm founded and managed by Mr Anupam Tripathi who is a Standing Counsel, Food Corporation of India (FCI) in the Delhi High Court; Standing Counsel, Central Coalfields Ltd. (CCL) in the Supreme Court of India;Standing Counsel, Bharat Coking Coal Ltd. (BCCL) in the Supreme Court as well as in the Delhi High Court; Former Senior Standing Counsel, Delhi High Court, Income Tax Department, Ministry of Finance, Government of India (2010-2012); Former Advisor to Nehru Memorial Museum & Library (NMM&L), Ministry of Culture & Tourism, Govt of India ( 2010-2012). The Practice is one of the most celebrated law firms in New Delhi in the fields of Public Interest Litigation (PILs) in social causes, environmental causes and in animal rights causes. It has a plethora of matters contested through Mr Tripathi and or its sister Arm NGO i.e. FFAR India before the Supreme Court, Delhi High Court and the National Green Tribunal (NGT) on a vide canvas of subjects ranging from CCTV Cameras in Police stations to Better Roads and Highways, to fighting corruption and holding political parties accountable to their election promises made in their manifesto. Form Cleaning up of Yamuna river to fighting tobacco giants and cigarette manufactureres. From street dogs, pet dogs to Tigers, Asiatic Lions, Leopards, Nilgai, Wildboars, Cattles, Cows, Endangered Vultures to Jallikattu Bulls- We take up all such social, enviromental, animal rights causes and matters of public interest in High Court and Supreme Court and the NGT. Owing to Mr Tripathi s prowess, expertise and experience in these matters, he is regularly seen on TV News Channels in debates and dicsussions on social, environmental and animal rights issues on India Today, aaj Tak, Dilli Aaj Tak, NDTV, News X, and a large number of such news channels spreading awareness and education the indian masses on these grave matters of public interest. Our Income Tax Law practice is second to none owing to the combined duo of Mr Tripathi (Former Senior Standing Counsel of the Income Tax Department) and Mr Prakash Chandra (Retd. Chairman of Central Board of Direct Taxes (CBDT)) being at the helm of such matters. So all advisorty and transactional matters of Tax law are handled by Mr Chandra bringing in his 40 plus years of experience and expertise at being a the top tax man and expert in the field, while all litigation at ITAT, High Court and the Supreme Ciurt of India is done by Mr Tripathi who brings his 15 years of litigation experience of more than 2000 appearances and more than 500 tax cases litigated before High Court, Supreme Court and ITAT combined. This makes The Practice one of the most formidable Law Firms in Tax matters. In Consumer Law Practice, Mr Tripathi is the go to expert with close to 15 years of experience in consumer law matters and cases. Mr Tripathi infact holds an additional diploma in Consumer Protection Laws too. He is an expert of high pedigree in the field of consumer law practice and is regularly contesting cases for his clients in NCDRC (National Commission), SCDRC (State Commission) and District Forums in Delhi. Owing to his prowess, expertise and experience, he is regularly seen on TV News Channels and Radio on consumer rights and laws based shows in debates and dicsussions on leading channels in India. 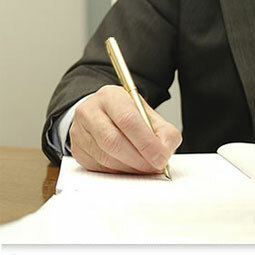 In Matrimonial– Divorce Law Practice Mr Tripathi is easily and by far one of the best lawyers in Delhi with experience and expertise of successfully having handled more than 500 divorce cases and advised over 2500 clients in tricky matters concerning his clients, their family and their personal lives. He also has a very successful celebrity client- ele to boast of. Mr Tripathi is also a very successful marriage counsellor and comes up with innovative yet practical ways in keeping couples together and in saving their marriages. There are easily over 100 plus marriages he has saved in his 15 years law practice. 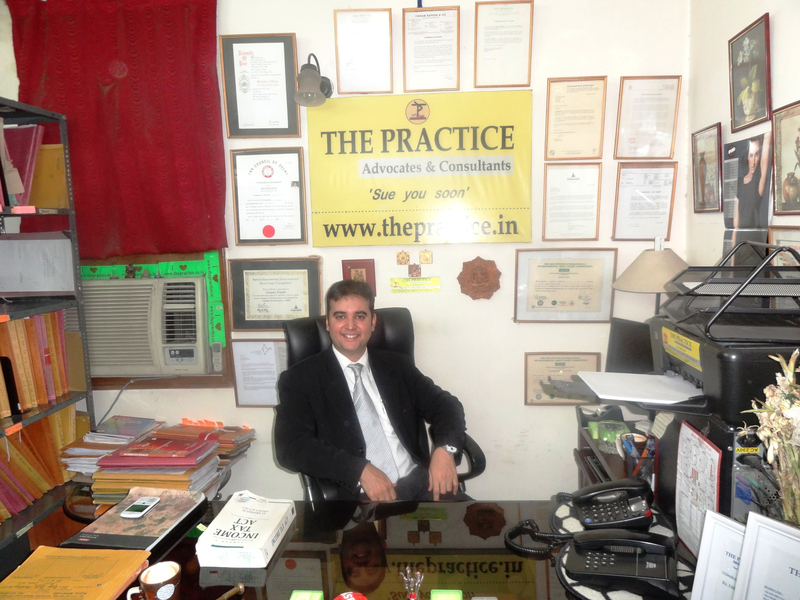 The Practice as a firm is also doing General Civil & Criminal Law matters on a vide range of issues and topics such as criminal bail matters, Section 482 Quashing of FIR s before High Court, 138 NIA cases, suits fro recovery, defamation cases, cobnractual matters, service matters, employment cases you name it. In the legal arena, The Practice as a Law Firm is known for the delivery of results in its high impact law suits and PIL`s. Here, we don`t just fight cases, but we live, drink & breathe the cases and only fight to win. The Practice‚ under the leadership of its Founder & Managing Partner– Mr. Anupam Tripathi has grown stupendously since its inception in the year 2005 when it started from a modest Rs. 3000 per month turnover to now having a turnover running in Crores of Rupees annually with over 1000 plus satisfied clients including Government of India‚ Fortune 500 companies, corporations, HNI `s and Celebrity clientele. Visit Our CLients Page section to get an idea of the vide variety and the kind of top companies and clients we represent. Mr Tripathi has been and is on the panel of Central Government Ministries and large number of PSUs. Mr. Tripathi argues all cases of the Firm assisted by a young team of enthusiastic, dynamic and skillful 1-2 Young Lawyers- Associates who work zealously to provide you with a one stop solution to all your legal needs and requirements. WE DONT OUTSOURCE YOUR CASES TO SENIOR LAWYERS – WE JUST DONT unless its advisable in very very remote cases depending on the bench of the High Court, Supreme Court or the NGT and winnability of the Senior Counsel before that particular bench. We handhold your case from the day you engage us till we get you favourable orders - judgments- results – We are by your side and represent you from the beginning to end – All the way. The Firm also works with a large number of Consultants and Advocates on Record having experience ranging from 4 years to 40 years in legal practice. A vibrant internship program in the firm ensures that at any given time there is an army of interns from leading Law Schools from the length and breadth of the country, assisting Mr Tripathi and his Associates and Lawyers in the Firm to accomplish their daily goals- to march into Court rooms and Win cases. The Practice represents its clientele in the Supreme Court of India, Delhi High Court, Allahabad High Court and almost in every other High Court in North India. It also represents its clients in the National Consumer Disputes Redressal Commission (NCDRC), State Consumer Disputes Redressal Commission (SCDRC), Income Tax Appellate Tribunal (ITAT) as well as the National Green Tribunal (NGT) among other Commissions and Tribunals. It further represents cases of its clients across all District Courts of Delhi and NCR. What sets The Practice apart from the rest is that it is led by a leader who know`s how to win. We fight cases to win cases, not to just do our best. In the last few years, in keeping with its vision, purpose & mission, The Practice is slowly but surely dedicating its time and resources for Nation Building vide being a leader in Public Interest Litigation & Social Causes Litigation Practice in Supremem Court, Delhi High Court and in Environmental matters before the National Green Tribunal. "Humanity First, Then Nation, Then your Purpose with your principles and after that ................ Family, Career, Job, Friends, Political Ideaology, Society, religion, People and Everything else"
"Law is a means to bring about a social change, through Court litigation and the justice system." To seek an appointment with Mr Tripathi on a pressing matter that concerns you, feel free to call him directly at 9899874982, 9599349269, 011=41415320 or you may whatsaap him at 9810253962 (Mon to Fri- anytime after Court hours between 4-7pm) Mr Tripathi answers all such calls himself. On the rare occasion that he is unable to answer your call, just sms or whatsaap your name and messege with appointment request to him. He shall revert back t you then as soon as he can. Kindly note that all appoinments with Mr Tripathi are subect to payment of his hourly fee. Please visit Free Structure section to learn how much fee you would be charged for such meetings and consultations and accordingly come prepared with your cheque books when you meet him. So go ahead, what are you waiting for. Seek your appointments now!